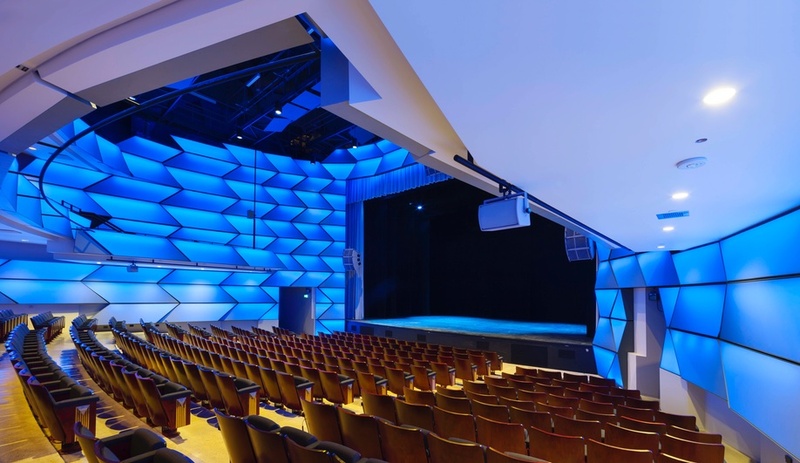 Local firm Diamond Schmitt Architects has turned the original 1,800-seat Toronto Centre for the Arts into two distinct venues with a state-of-the-art design feature. 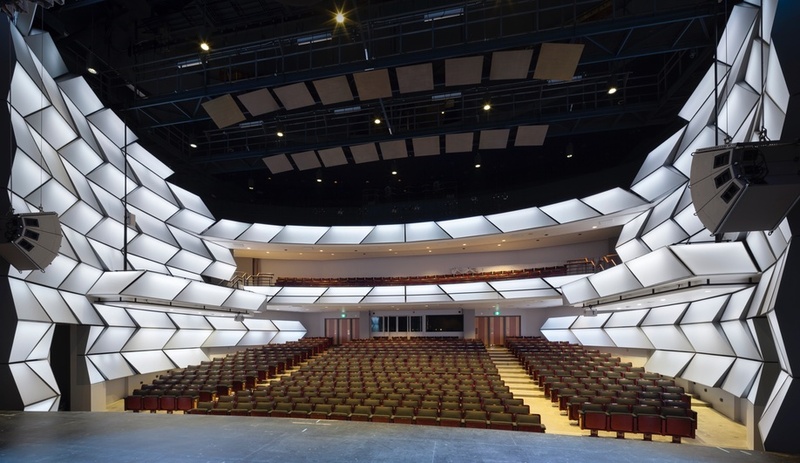 Diamond Schmitt Architects’ transformation of the Toronto-area arts centre was an unusual project: the firm needed to divide the preexisting auditorium into two distinct venues, employing a design feature that would both imbue the centre with a distinct identity and enhance the theatrical experience. 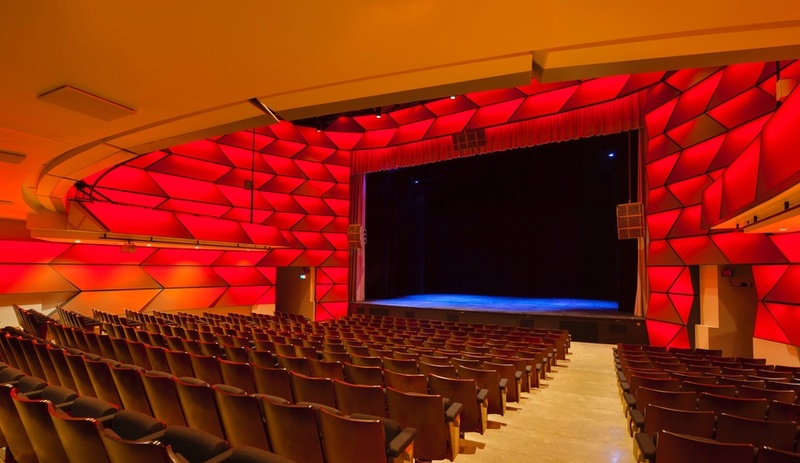 Diamond Schmitt used the original theatre’s proscenium as the dividing line for the two new venues. 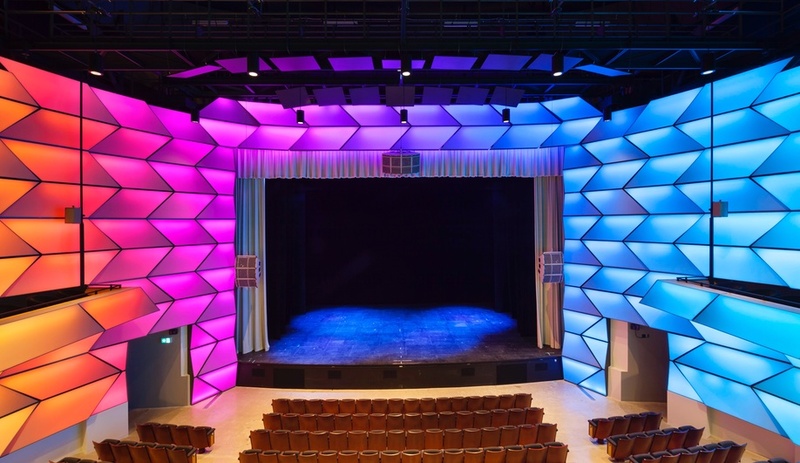 To create the Lyric Theatre, the firm designed a new stage, along with an overhead truss with motorized rigging for technical support. 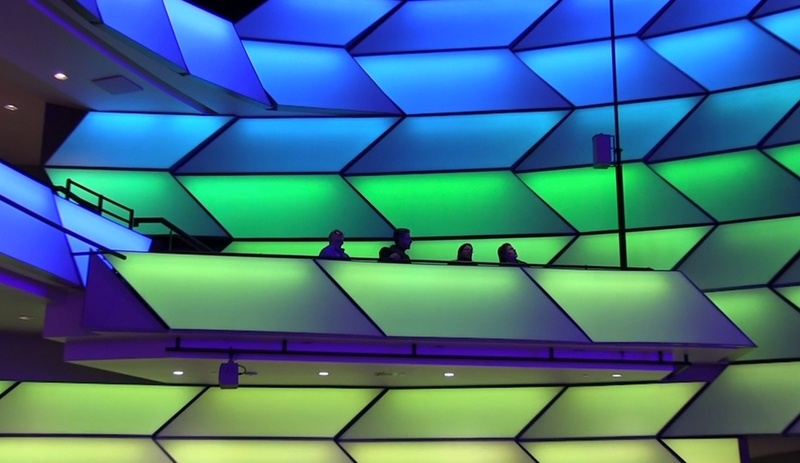 The slant of the existing orchestra and balcony seating was adjusted accordingly for better viewing. 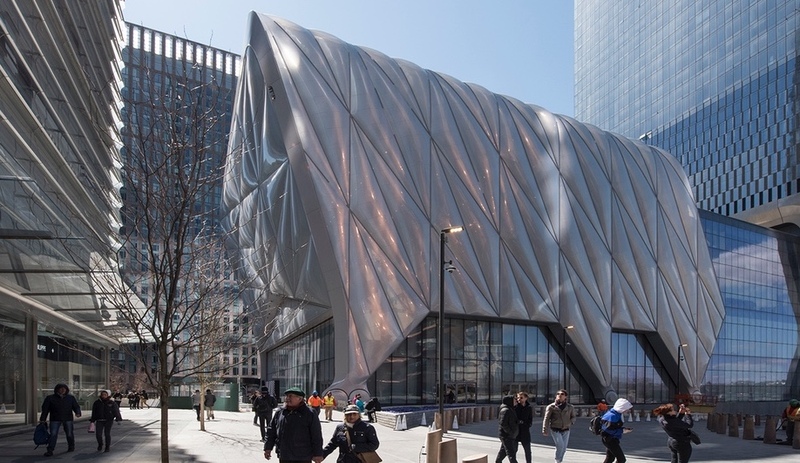 To provide both visual and sound separation, the acoustical inner shell of the space consists of 172 fabric-covered chevron elements that are mounted on a metal strut framework. 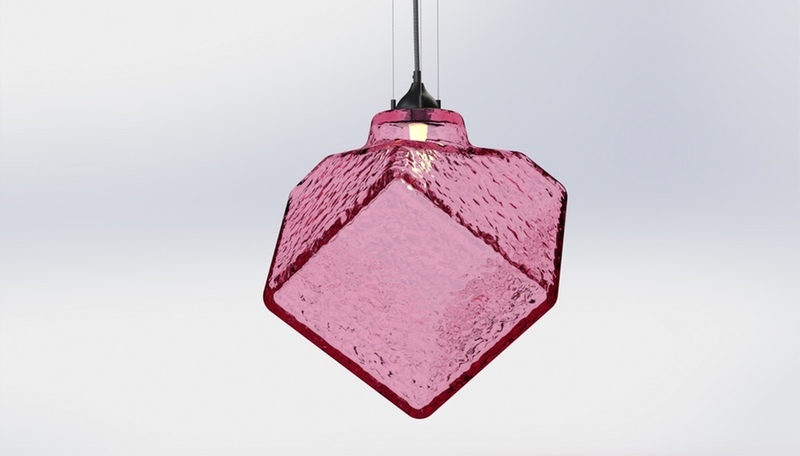 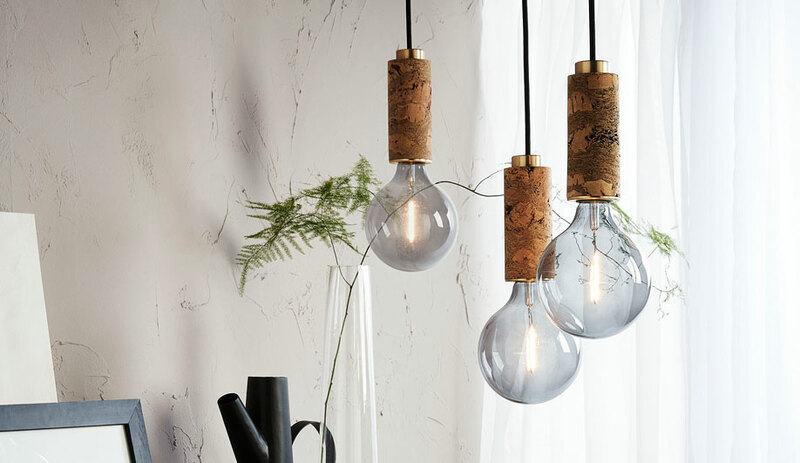 Within each element is a strip of programmable, colour-changing LEDs. 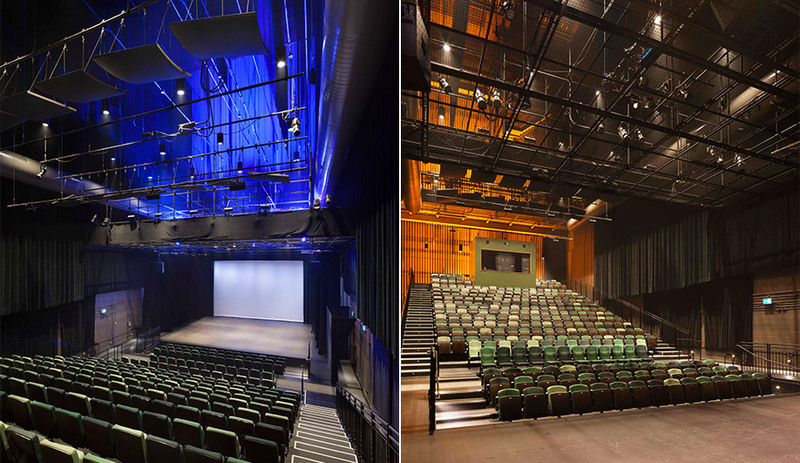 The smaller Greenwin Theatre occupies the stage of the previous configuration, taking advantage of the dramatic 27-metre height of the fly-tower for use in theatrical productions. 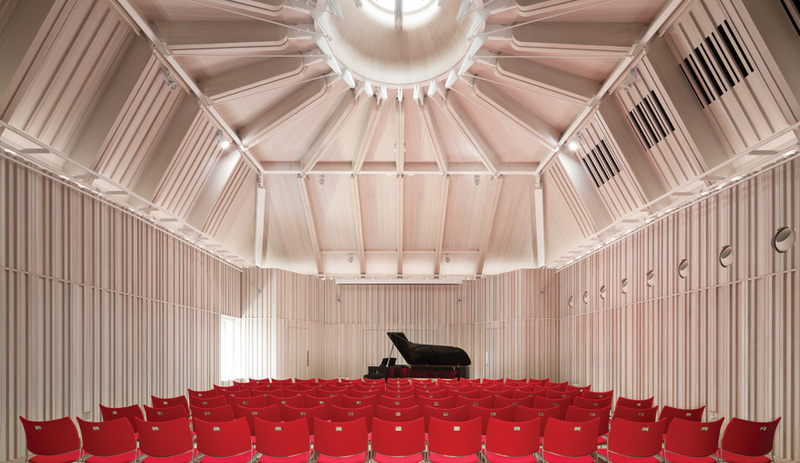 Retractable seating adds versatility to the space, allowing it to be used as an open studio. 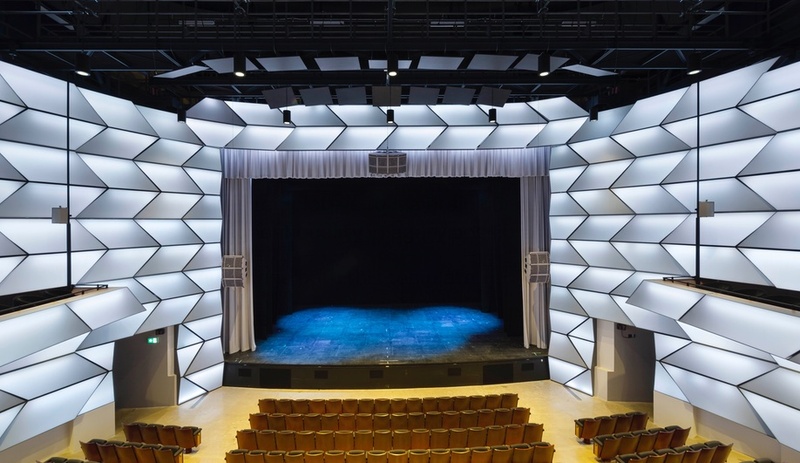 Diamond Schmitt Architects recently won an Achievement Award in the small project category from the Toronto Construction Association for the theatre reconfiguration.